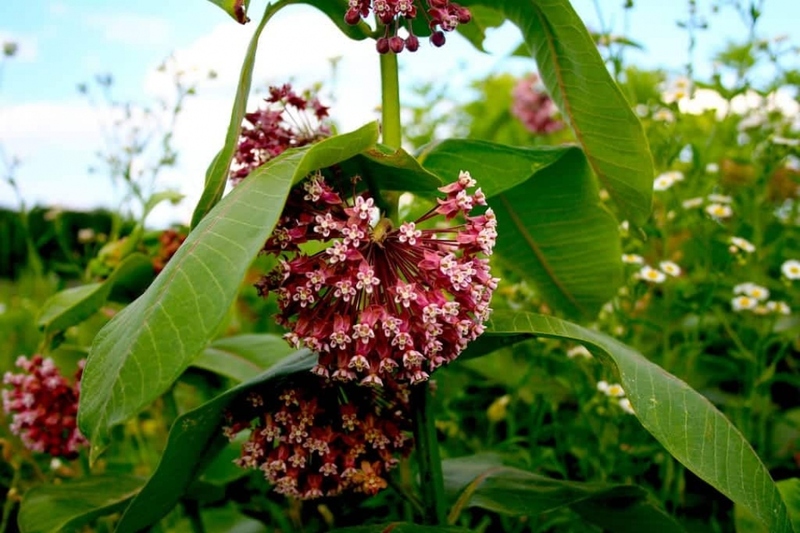 Common milkweed (Asclepias syriaca): growing, planting, caring. A large and vigorouse perennial for wild-styled gardens. Full description for Asclepias syriaca not yet available. Plant in loamy, rich, well-drained soil, in full sun, mixing with some leaf mold. Grow in a bed of wildflower, as milkweeds naturally spread through underground sprouts. Water twice a week the first month. In open soil, watering is not necessary, except in case of intense drought. A small intake of natural compost fertilizer will not hurt in early winter, to keep a rich soil around your milkweed. Cut dry stems in the fall to "aerate" the massif.